Covenant Relationships: How much should you spend on your wedding? Each couple should also consider the cultural necessities and requirements of their wedding activities. Some cultures, especially African, expect a "traditional wedding" before a "church wedding". These costs should be considered in the total wedding cost. How much you want to spend on the wedding gown. Do you want to rent or buy a gown? This is also applicable to the groom's suit too. Will you use a wedding planner or get your friends and relatives to help in the organisation of the wedding? How many people do you intend to cater for at the wedding and the post wedding activities? Do you want to go for your honeymoon immediately after the wedding or postpone it for a more convenient time? Whether you want a live band at your wedding or not? This is usually the first joint project that you have to work on, so don't bungle it. 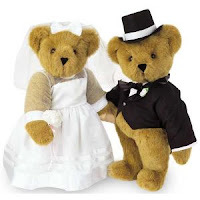 The most important thing about a wedding is that the couple is happy about the occasion. So pray together about the project and spend wisely. Remember the wedding ceremony is just the beginning of a long journey - the marriage.